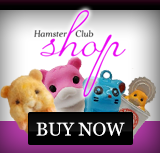 Usually hamsters are exhibited in special uniform cages known as show pens. These pens are designed so that the hamsters can be easily taken out for judging purposes. The best thing to do is to take the hamsters to the show in carriers rather than show pens. 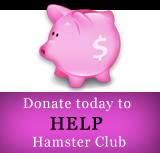 This will allow the hamsters to adapt themselves more easily to the new surroundings. A thin layer of bedding will be needed as the floor covering, although for long-coated hamsters, cat litter should be used to prevent the bedding becoming caught up in the hamster's fur. Even though the above characteristics (a and b) exclude hamsters from entering a show, they can still prove to be delightful and cute pets! 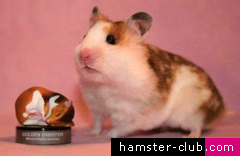 Click here to read another hamster article about what makes an exhibition hamster.